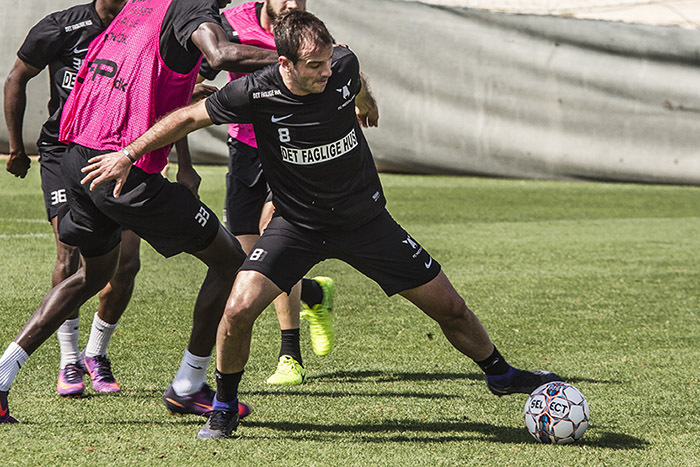 FC Midjylland are the latest team to arrive for The Dubai International Cup. They checked in at the Jebel Ali Hotel just before 03 am and 9 hours later they where on the pitch for their first training session. On Wednesday they will have their first match in the tournament against AIK from Stockholm. In the squad are the dutch superstar Rafael van der Vaart who joined the club last summer. The man with 109 caps fro Holland really enjoyed himself on the pitch today. ​Rafael van der Vaart: Glad to be in Dubai.